According to the New York Times, last year, New York City's homeless shelter population reached its highest levels ever since the Great Depression. In June 2015, there were more than 56,000 homeless people in New York City shelters. This included 11,702 families and 11,868 single adults. During the course of each year, more than 116,000 different homeless New Yorkers, including more than 42,000 different children, sleep in the shelter system. In June 2015, an average of 23,286 homeless children slept each night in municipal shelters, the highest level ever recorded. 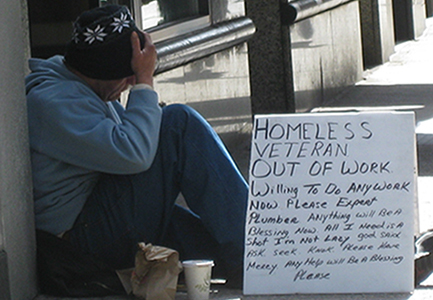 At least 3,357 more homeless individuals were counted living on the streets or in subways in January 2014. The majority are in Manhattan. African-American and Latino New Yorkers are disproportionately affected by homelessness. Approximately 57 percent of New York City homeless shelter residents are African-American, 31 percent are Latino, 8 percent are white, and 4 percent are of another or unknown ethnicity.